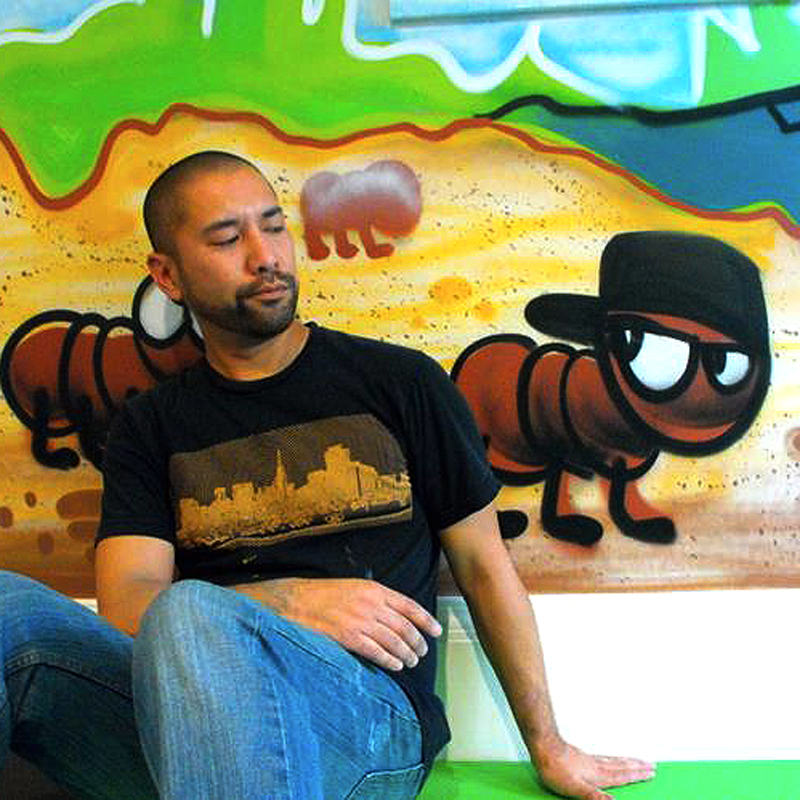 New Skool is owned by San Francisco Designer and Artist Nathan Tan. New Skool is the “baby” business that started from his garage in 2003. Nate1 designs kids clothing for his peers who have their own kids and grew up loving Hip Hop and the Bay Area. New Skool has been distributed all over the US, Japan and Ireland to small, unique family owned boutiques. Back in the Days: Nate1 started his Hip Hop career by co-founding the West Coast Chapter of the Master Piece Creators Crew (MPC), with Omen2 in 1987. MPC was an influential graffiti crew in the Bay Area that was known for painting large scale murals with socially conscious messages. Their work has been featured in many graffiti art publications most notably The History of American Graffiti book where they were featured as pioneers of the West Coast movement. Nate has taught the History of Graffiti Workshops from 1AM Gallery ranging from small intimate classes to large corporate clients. Working as a graphic designer for 10 years in the fashion industry and being very involved in the graffiti community as a teacher and artist, gives New Skool a solid foundation and a fresh perspective on the children's fashion market.